My family took an Inner Passage cruise. 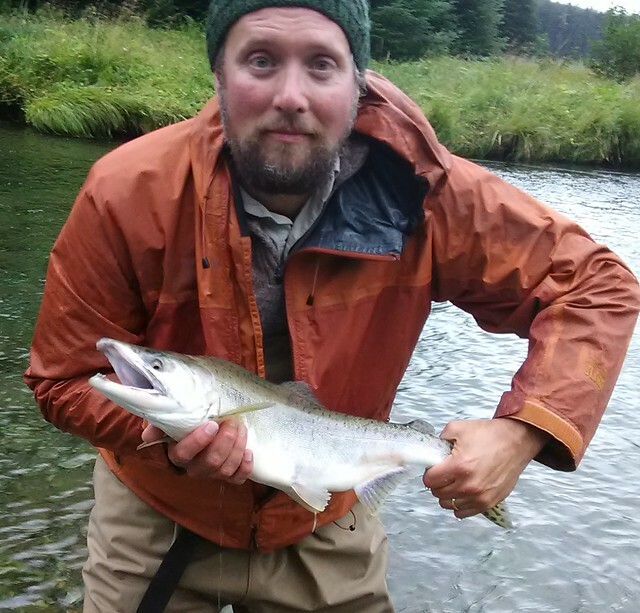 Son-in-Law and I used the Juneau day to go fishing. I did not research what to do ahead of time, we just signed up with the Cruise Line standard. Bear Creek Outfitters and guide Sam did a fine job: supplied waders and rods, and tied all knots, etc. Also carted the special items needed for Alaska fishing: satellite phone, bear spray, firearm. 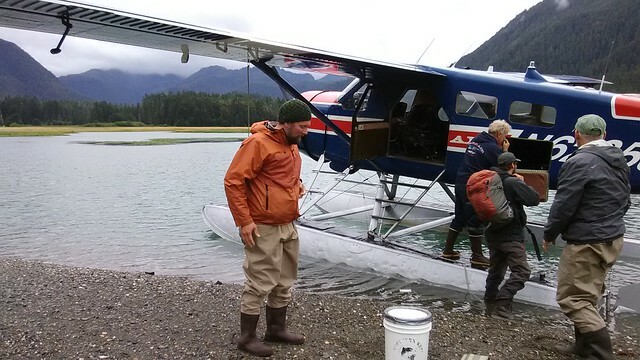 We flew out on a Beaver to Slocum inlet and then slogged our way up the creek. Sam gave us Clouser Minnows, but of colors that I never saw in Michigan. 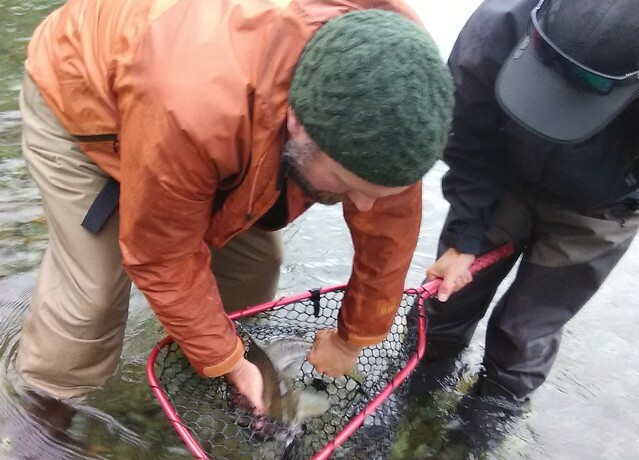 A “school” of Cutthroats and Dolly Varden readily took these streamers. 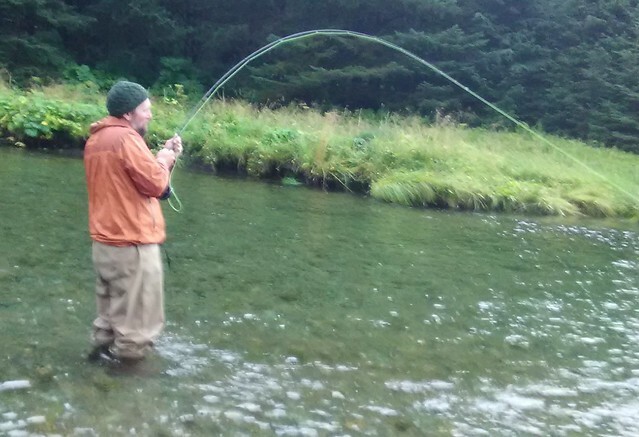 A little father upstream were Pink Salmon, and they wanted the Clousers also. 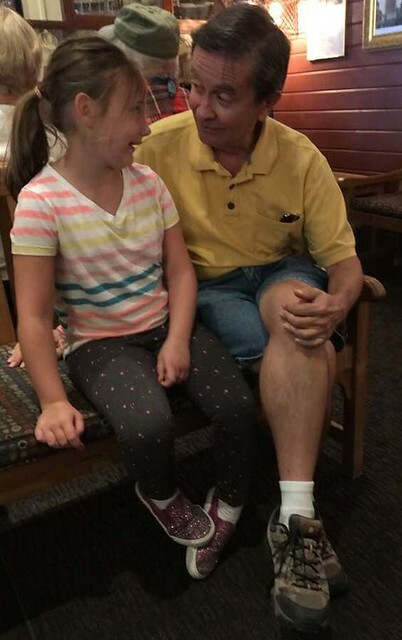 Granddaughter clearly does not believe my lie about a big fish.